SpainAway is an Independent Travel Management Company, which prides itself on the quality of its holiday accommodation. We specialise in villas and apartments on the coast to the east of Malaga, in particular in and around Nerja, including the Capistrano developments. 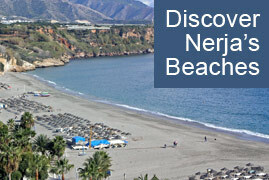 Nerja offers something a little different to the typical Costa del Sol holiday resorts. Perched on cliffs above the Mediterranean with views across the bay, Nerja has the ambience and style of a lively Spanish town and the rustic charm of an traditional fishing village. 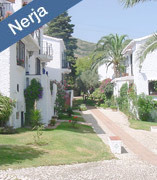 Perhaps the best known area of Nerja is El Capistrano Village. El Capistrano's setting is absolutely idyllic, with beautifully laid out narrow streets, scented with foliage and flowers, attractive little squares, fountains and immaculately maintained gardens.